I’m excited to share this news release about the readings and signings I’ll do in the Apostle Islands area next week for my book, The Lighthouse on Devils Island. If you’re there next week, I’d love to see you. An author from St. Louis, Mo. will be in the Bayfield-Ashland area the week of Aug. 30-Sept. 5 to promote his recently-published second book about the lighthouses of the Apostle Islands. Jim Merkel is scheduled to appear at five separate events to discuss, read or sign his new novel, The Lighthouse on Devils Island. 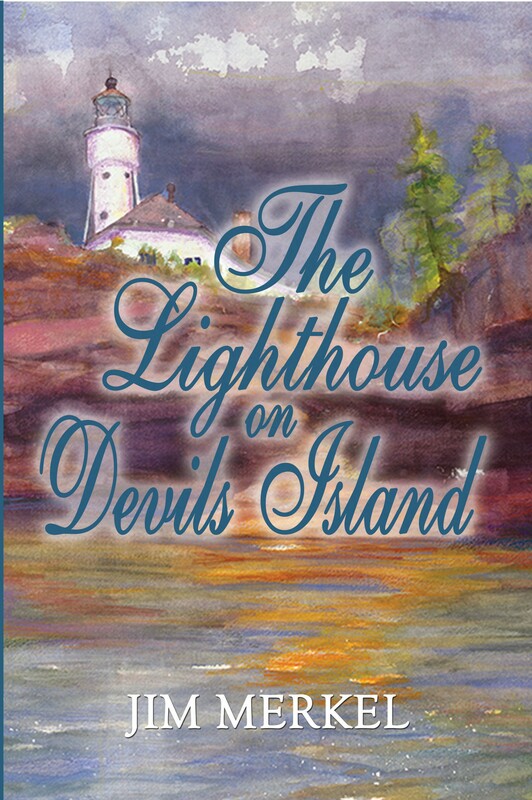 Set in the summer of 1928, the novel focuses on how the bitter old keeper of the Devils Island Lighthouse finds peace with himself and concludes he hasn’t wasted his life at lighthouses. The instrument of Keeper Owen McClatchy’s redemption is a new first assistant keeper and his family, just up from St. Louis. Merkel, who has been visiting the Apostle Islands with his wife for the last 20 years, took pains to ensure the book accurately depicts the region and its lighthouses in 1928. He includes a visit by President Calvin Coolidge to Devils Island that occurred on August 22, 1928. He strayed on one point, by having a fisherman and his family summering in a shack on the south end of Devils Island. The fisherman’s family intermingles with the first keeper’s family, Keeper McClatchy, McClatchy’s hobbling dog, a quiet bachelor second keeper and various folks who wander onto the island throughout the summer. In the book’s pages are a rescue from a burning yacht, a con man, tales of bravery and revelations of the keeper’s secret past that have left his hopeless. The artwork on the front and back covers are watercolors of Devils Island and its lighthouse by artist Austin Miller of Bayfield. Merkel’s first book about the Apostle Islands, Majestic Lights: The Apostle Islands Lighthouses, tells the stories of the six Apostle Islands lighthouses and the Ashland Harbor Breakwater Light, along with other particulars of lighthouses in the region. It has sold in local stores since 2001. He is a lifelong journalist and the author of three books about St. Louis history published by the St. Louis regional publishing house Reedy Press. 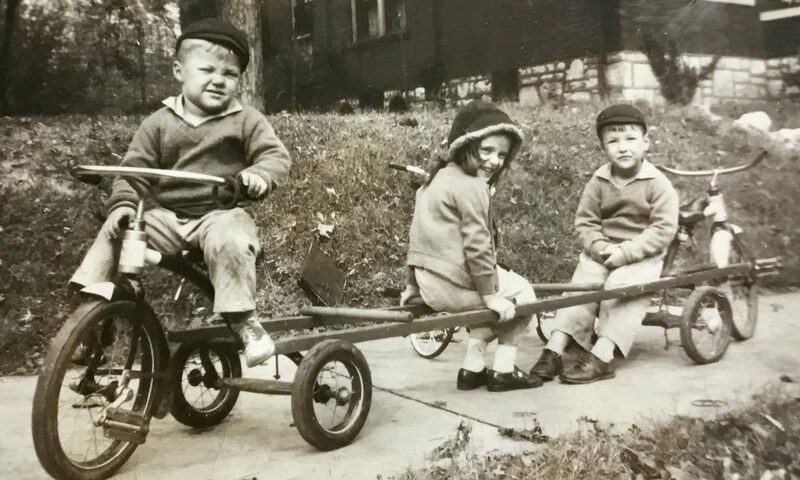 They are Hoosiers and Scrubby Dutch: St. Louis’s South Side; Beer, Brats, and Baseball: St. Louis Germans; and The Making of an Icon: The Dreamers, the Schemers, and the Hard Hats Who Built the Gateway Arch. Sept 1, Signing at Mission Hill Coffee House, 105-106 Lakeview Place, LaPointe, 11 a.m.-3 p.m.
September 2, Short readings during excusion to Devils Island on the Ashland Bay Express, scheduled as part of Apostle Islands Lighthouse Celebration, depart 10:30am – return 4:00pm, buy tickets through http://www.lighthousecelebration.com. September 2: 7 p.m., Reading at Madeline Island Museum. September 5, 11 a.m.-2 p.m., book signing, Keeper of the Light Gift Store, 19 Front St. Bayfield. The books are available through Amazon.com and at such local outlets as Mission Hill Coffee House and the Madeline Island Museum in LaPointe, Keeper of the Light Gift Shop, Seagull Bay Motel, 325 S. Seventh St., and Austin Miller Studio and Gallery, 33615 Ski Hill Road, Bayfield; and Spinster Books, Ashland. 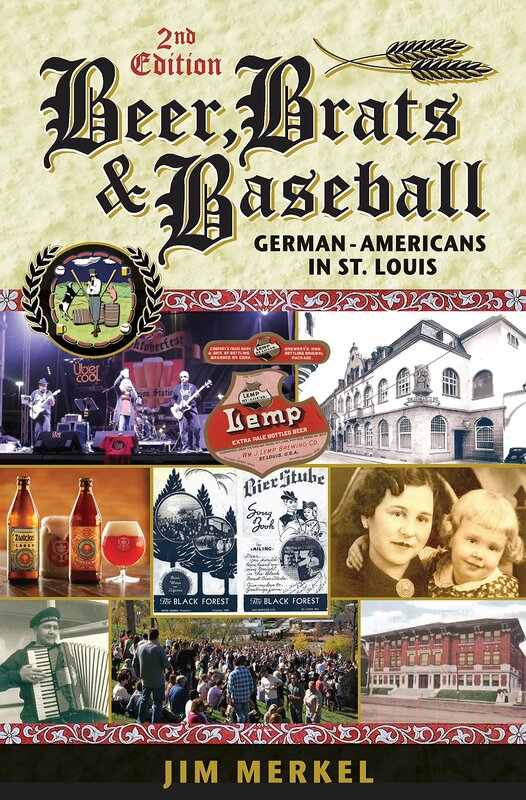 Above is the cover of the Second Edition of Beer, Brats, & Baseball: German-Americans in St. Louis. My publisher tells me it’s coming out by the end of this month. Those who bought the 1st Edition and those who didn’t will definitely want to get this one. It contains most of the material from the Second Edition, along with a number of new items. Here is the tale of the German immigrant restaurant owner who went home before World War II because people suspected him of being a Nazi sympathizer. Here as well is the story of the local craft brewer that bought a German brewery so St. Louisans could drink the most authentic European beer available.We’ve also updated items from the First Edition where necessary. Plan to add it to your library. One miserable spring night, a tired, bitter, despairing old lighthouse keeper prepares to jump off the top of Lake Superior’s Devils Island Lighthouse. It seems the end for Owen McClatchy, but it’s the beginning, during a wondrous summer of 1928. I basically finished it in 2003 and put it aside on a pile marked “unpublished.” Now, after writing three books about St. Louis published by Reedy Press, I’ve tweaked it and brought it out. If you like lighthouses, if you like heartwarming yarns with happy/sad endings, The Lighthouse on Devils Island is for you. Here’s a bit more about the book. No spoilers. Promise. The instrument of McClatchy’s redemption is most unexpected: new first assistant keeper Sam Brown and his family, just up from St. Louis. McClatchy sees Brown as incompetent, his wife as impertinent and his two kids as the devil underfoot. But by summer’s end, the Browns help McClatchy realize he hasn’t wasted his life on a lighthouse and enable him to jump into whatever life has for him. Based on the real Devils Island Lighthouse in Lake Superior’s Apostle Islands archipelago, The Lighthouse on Devils Island is full of carefully-researched details about the drudgery, loneliness, beauty and heroism of a time and place when everything depended on keeping the light burning. The cover artwork is by Austin Miller, a terrific artist who lives in the Apostle Islands. It’s about a wonderful vacation spot, which Lorraine and I have visited for the last two decades. I’m going to give more readings and more signings during the upcoming Apostle Islands Lighthouse Festival the first week of September. My favorite reading will come on Sept. 2, on a boat trip to Devils Island. That’ll be a dream come true. If you can’t come to the lighthouse festival, my reading on Aug. 13 will be the next best thing. I’ll try to make it seem like you’re on a boat to Devils Island. I hope to see you soon. To order an autographed copy, send a check for $17.25 made out to Jim Merkel to The Lighthouse on Devils Island, 4216 Osceola St., St. Louis, MO 63116. As with all my books, I’m waiving the shipping fee. For more information, e-mail southsidemerkel@gmail.com.